Fun Casino Hire in Leicestershire from Premier Events. Prices start from £350.00 + VAT to hire a fun casino table. Fun Casinos are a great way to keep your guests entertained at a corporate gala dinner, awards ceremony or even a wedding. At Premier, we can supply a wide range of casino tables for your upcoming event. With guests playing with fun money (which we will provide) the stakes on the night really do depend on the quality of the prize that the organiser is providing. We find that typically a bottle of champagne is enough to give guests an incentive, although we have known a wide variety of exclusive prizes being won by guests at our fun casinos previously. The most popular fun casino tables that we are asked to provide are Blackjack and Roulette, although we are also able to supply poker tables should you require these for your event. As you would expect from Premier, our casino tables are of the highest quality and staffed by exceptionally knowledgeable and friendly croupiers. 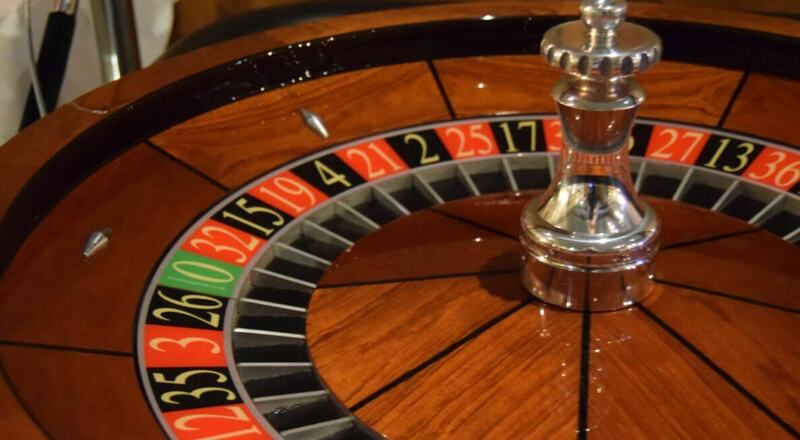 We find that most guests are aware of how to play Blackjack and Roulette, however for those unsure of the rules our croupiers are more than happy to explain these to them throughout the event. As standard our fun casino tables are booked for a 3-hour time period, we find that this length of time is the right amount for the vast majority of events. If you require the tables for a longer period of time, then we are happy to accommodate this for you. If you require our fun casino table hire to be set up before guests arrive at the venue then we can certainly do this for you. We understand that your guests will not appreciate us setting up whilst they are also in the venue. To find out more about our fun casino hire, or to book it for your event, get in touch with our friendly team. We look forward to hearing from you.